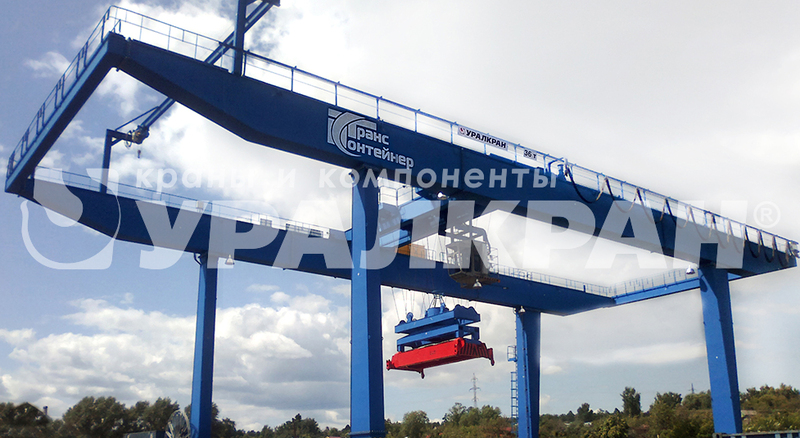 Gantry cranes — it is that very type of handling machinery that is in well-deserved demand and respect of buyers. Such a crane is just impossible to replace in cases of handling operations with over-sized or heavy loads. The usage of the given type of handling equipment allows to substantially reduce not only time expenditures but material costs of any company in the long run. Besides, the range of gantry crane target usage is extremely extensive and allows their operation by enterprises of various industries. Upon customer's request, crane may be equipped with crab bucket or crane magnet.